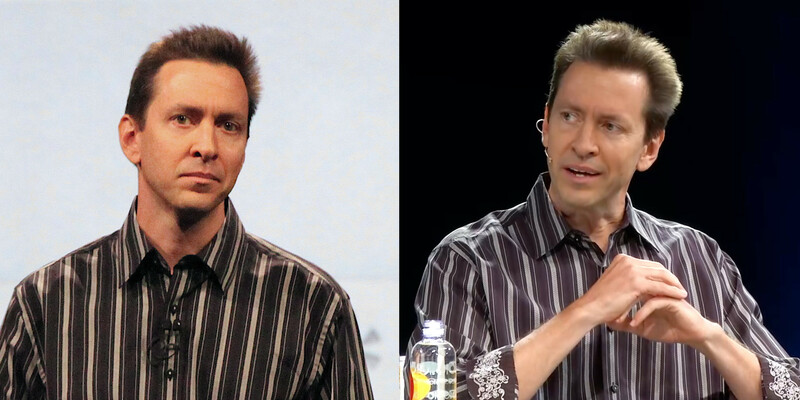 It's been many years without any sign of Scott Forstall. He was one of the vice-presidents of Apple when they launched the iPad and iPhone. He left Apple in 2012. In June 2017, he accepted a public interview. In that interview, he wore the same shirt that we saw five years ago at the Apple Worldwide Developers Conference in June 2012. To wear the same shirt is nothing special, we all do that, but the design of the shirt does not go unnoticed and the dates are significant. Probably it is just a coincidence, perhaps I overanalyze it. Anyway, I would like to think that is a small sign that the interview was an important moment for him. He was in front of a tech audience again. I am a tech enthusiast, an Apple lover, and I am happy that he has re-connected with us. I do not know all the details about the relations inside of Apple in those days. I do not take part against or in favor of anyone. I just know he did great things for all the people like me that love tech. I would like to see him again, solving big problems and changing the world.